Feeding a Five-Seven or a PS90 can get awfully expensive quickly. Fortunately, Federal is here to help with its new 5.7x28mm offering. 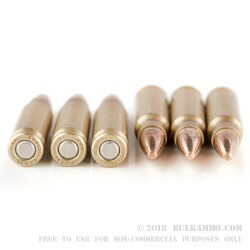 The 40-grain bullet achieves a muzzle velocity of 1655 feet per second and is completely encased in copper and safer for use in indoor ranges thanks to the total metal jacket (TMJ) plating method used in its production. This ammo has comparable ballistics to SS197SR hollow-point ammunition; both fire a heavier bullet at somewhat slower velocities than other 5.7x28mm ammo. 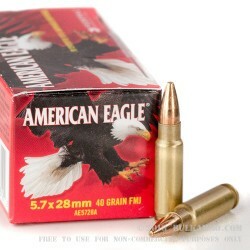 Each box contains 50 rounds of ammo in reloadable FN-manufactured brass cases. Federal produces a wide variety of range and self-defense ammunition at its historic headquarters in Anoka, Minnesota. The company’s products can be found in the hands of civilian shooters, military personnel and law enforcement officers around the world and enjoy a strong reputation for quality and performance.